Is your website profitable? Is it easy to manage? The Essentials of Website Success! Most people say that their #1 complaint about their website is that it isn’t generating as much revenue as they would like. There are many keys to website success and the top 3 are called The Holy Trinity of Website Success! Without any of these 3 things, your website is doomed! #1 Know Your Target Audience. What they want, where they hang out, how you can engage them and where you can advertise to them profitably. #2 Create Content That Converts! Sales pages and blog posts serve different purposes. The content you create; text, graphics, video, audio and even social determines your conversion rate. Tweak the content to increase sales. #3 Traffic That Converts! There are countless ways to get traffic to a website. 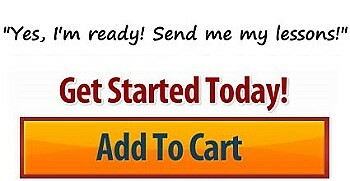 You want TARGETED traffic that’s free or affordable. You NEED to attract people in need of your product or services and convince them that your solution is best. aren’t copywriters and know very little about attracting free and profitable paid audiences. That’s the bad news…The good news is that YOUR COMPETITORS don’t plan properly, they aren’t copywriters and they don’t know how to attract enough audience to generate profits, either! Would you like to have the competitive advantage? You can’t plan properly if you don’t know or understand your goals. Checklists are helpful. A written plan that is based on current metrics, market and competitive conditions and available resources is ESSENTIAL! Hosting a secure and manageable website using all of the benefits of WordPress, themes, widgets and plugin is not really easy. WordPress allows site owners to create websites more quickly and without some design costs and expensive programming fees. You may not be a copywriter just because you can open Microsoft Word or can log in to WordPress. Copywriters are well paid for a reason. Most layman need help to present offers that create desire from their prospects. “Build it and they will come!” There is more to marketing a website than putting the URL on a business card or brochure. Some people have tried paid advertising, like Facebook ads, but stop 4 hours later because they haven’t gotten a single order. You don’t need to take courses in online business administration, Madison Avenue copywriting or digital marketing. You can avoid spending countless hours watching YouTube videos or reading blogs, trying to figure something out. Figuring out that one thing isn’t going to lead you to Website Success. will give you better insights of what to do next. They will help make your website more profitable and easier to manage! The help you achieve better results QUICKLY! Make your job EASIER and more enjoyable! Give you more time to do what you do best or spend MORE TIME with family and friends! It might even get you a promotion at work or a higher salary! The two most important keys to Website Success are getting traffic to your site and getting those visitors to convert. Most websites fail at doing both. Improving your conversion rates can sometimes be as simple as adding an order button or a phone number to the page (we see it regularly), but these tactics improve results exponentially! Message to Market Mix: Making a better offer to specific target audiences. 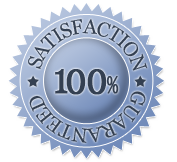 Social Proof: Adding testimonials to your sales pages. Emotional Appeal: Using case studies or telling a story. Strategic Business Plan: Improving your online sales funnel. Good companies invest in information, people and resources with the expectation that it will come back to them in spades! Getting site visitors comes from doing some of the following. Some tactics will work better than others for different people, markets and situations. You need to figure out what works in your situation. SEO-Search Engine Optimization: Getting high rankings in the free SERP listings. Paid Listings: Getting great visibility quickly in sponsored listings on SERPs. Local Marketing: For brick & mortar locations, this helps prospects find you, your products and services. Facebook Ads: Amazing targeting by location, interests, gender and even income. Social Media: Leverage the power of LinkedIn, Facebook, YouTube and Twitter to name a few. for Improving or Starting a Successful Website! how to assess, revise and improve their website. Learn how to attract more visitors who will become customers! 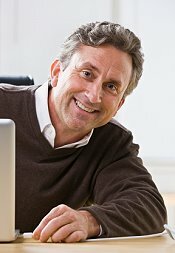 I developed the Website Success Essentials to teach you how to improve or develop your website without learning how to code it. It’s designed to benefit the owners and managers of any website! Not “techy” training. It’s more about site strategy, management, business development and marketing. But like building a house, having a firm foundation is critical to Website Success. Knowing the ESSENTIALS prepares you to grow your business with your website! How to organize your website project and create an effective plan! Auditing your site to set a firm foundation and identifying the areas that need the most work – first! Researching your market and competitors to find out what they really want and will pay for! Organizing your site for clarity – so prospects will immediately understand what it’s about and how they benefit! Attracting visitors to your site using free or inexpensive advertising! How to increase the effectiveness of offline sales and marketing initiatives! The Website Success Course is a sequence of phases that prepare your website for attracting more visitors (traffic), engaging them and moving them successfully through the sales funnel. I’m going to teach you the ESSENTIAL principles and best practices that govern an effective website so that you can develop one that serves your particular business and meets your individual needs and tastes, as well as those of your prospects. How to develop page content that turns browsers into buyers. Admission to my private online support group on Facebook – a great place to ask questions, network and share information. This won’t be yet another eBook taking up space on your hard-drive and quickly forgotten. Each module contains ‘here’s what to do next‘ lessons and action steps to move your project reliably forward without overwhelm. Take advantage of ESSENTIAL checklists and resource guides to add insights and value to your website and your career! by covering all the basics so you don’t get stalled along the way. 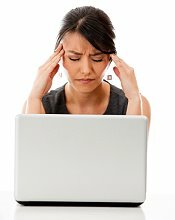 Small/Medium Sized Business Owners: Often too busy working IN the company, instead of ON the company. Staff and Assistants: Usually busy and often needing more experience and support to truly get the job done right. Local businesses hoping to attract customers at the exact moment they are looking to buy. Website Developers who want to develop a winning strategy for their clients. Virtual Assistants looking to up their game and offer new skills. Work at Home Moms or Dads. The Website Success Essentials training is pretty simple. Who has your money? Use the Website Success Questionnaire to ask the questions that will define your best prospects, where to engage or advertise to them and create the solutions they crave. The Website Success Questionnaire to build profitable Target Personas. 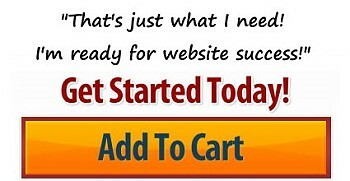 The Website Success Project Plan Template which helps you plan and execute your profitable and easy to manage website. Site hosting, content management and setting up Key Performance Indicators may not be the sexiest part of owning and managing a successful website, but like every good building, a good foundation and security are ESSENTIAL! Lessons include why decent hosting on fast web servers helps your visitor’s user experience and makes Google happy. Learn why WordPress is a great platform to affordably design, manage, update and secure your website or blog. Setting up and monitoring Google Analytics. Know how many people visit your site, where they came from and what they like and don’t like. Using Google Search Console (formerly Webmaster Tools) to find out what Google thinks about your site and what keywords people used to find it! Kinds of Content & Where to Share It: Text, Images, Videos! What is a Call To Action and why is it important to have one on every page. The benefits of using swipe files to improve your copywriting. 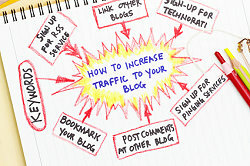 Getting Visitors for Free with blog content. Listbuilding 101: Why building an eMail list is one of the most effective Internet marketing techniques. The Lead Magnet: What can you offer to get people to subscribe to your list. I have been building and marketing successful websites since 1996. 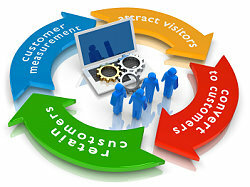 We approach website development with business development and ROI in mind, unlike many developers. Clients have included Sprint, Department of Veteran’s Affairs, Chicago Architecture Foundation, National Keratoconus Institute, manufacturers, municipalities, service professionals, retailers, hotels, Convention and Visitor Bureaus (CVBs), SMBs, restaurants, public speakers and bloggers. I am a speaker and seminar leader for organizations like National Association of Celtic Retailers, Metropolitan Club-Chicago, Orthokeratology Association of America, Novice to Advanced Marketing System Conference, CVBs and Chambers of Commerce. Popular guest on Blog Talk Radio shows, often attracting the highest number of downloads for each host. Entrepreneur and businessman who understands making payroll, hiring developers & marketers, keeping up with technological and marketing aspects of running a business. Why Did I Develop Website Success Essentials? To help the hundreds of thousands website owners who are not getting a return on their online investment…and there’s no real place for small and medium-sized business owners to learn how to manage their business online as effectively, or better, as they do offline. The Website Success Essentials course helps business owners and their assistants understand why their websites are under-performing and how to implement strategies and best practices to improve results! It’s all about online business development and management of the resources and people who do the work for you! People come up to me at events and ask many of questions that are answered in Website Success Essentials. They want to know what they can do to make their website better. They want a DIY solution! We DO NOT teach you complex programming or how to use expensive programs, like Photoshop, to build your site. We DO teach you how to know what needs to be done and to find the right people to do it! And we include the same checklists and project templates that we use for our own clients. resulting in more traffic to your site, more engagement & increased sales & profits! There is nothing like Website Success Essentials available anywhere! Have a more profitable website. Have completed your comprehensive & customized Website Strategy and Project Plan. Know your numbers so you can evaluate where your are and how to get to where you want. Have a better understanding of WordPress to manage your website’s design, functionality, security and usefulness. Understand various marketing techniques and how to decide which are best for your site. I’m all about Return On Investment (ROI). Not only do I think this course should give you a return on your time and money, I believe that each module alone is worth the money! No more high fees to a website developer. And if you use one, you’ll know exactly what needs to be done and how to find and manage them more efficiently and at less cost. That alone is more than worth the cost of the course! I’ve been told that this training could easily sell for $1,000 or more and I’ve seen somewhat similar “products” and programs priced from $1,999 to $3,999. It’s hard to get an ROI with an initial investment like that! But many good people wouldn’t be able to take advantage of such an offer, simply because it wouldn’t be in their budget. Look, I know what it’s like to need to succeed in your career – to make your business more successful, to make yourself more valuable to your current or future employer. I know what it’s like to need a new challenge or sense of accomplishment. I also know what it’s like to be suckered into buying a high-priced item on an easy payment plan. And maybe it’s something I learned from my school teacher parents…that good training & education should be EXCELLENT and affordable. I take satisfaction in helping my students thrive. It is for those reasons that I’m not going to charge thousands of dollars for this program. I’m going to make it downright affordable for every budget! But when you enroll today, you will get those new modules and updates to existing modules at no additional charge. Twice the training with no additional cost! Here’s my guarantee to you: I sell these memberships with a 30 day money back guarantee. If you don’t believe you’re getting exceptional value from Website Success Essentials, I’ll refund your money immediately and with no questions asked. I stand behind my materials completely and know that you’ll be completely thrilled with the content, and more importantly, the results. However, for your peace of mind, know that a refund is available anytime for the next 30 days by emailing me if you are dis-satisfied for any reason. Join Now at the Lowest Price! Yes, Kurt, I want Website Success Essentials to learn how to make any website more profitable! I have read and agree to the legal disclaimers below. I understand that I pay a one-time fee to get access to the current and future modules listed above. 10 modules total! * Every effort has been made to accurately represent this product and its potential. By signing up for this product, you acknowledge and affirm that each individual’s success depends on his or her background, skills, experience, dedication, resources, desire and motivation. As with any business endeavor, there is no guarantee that you will increase revenue or profits.